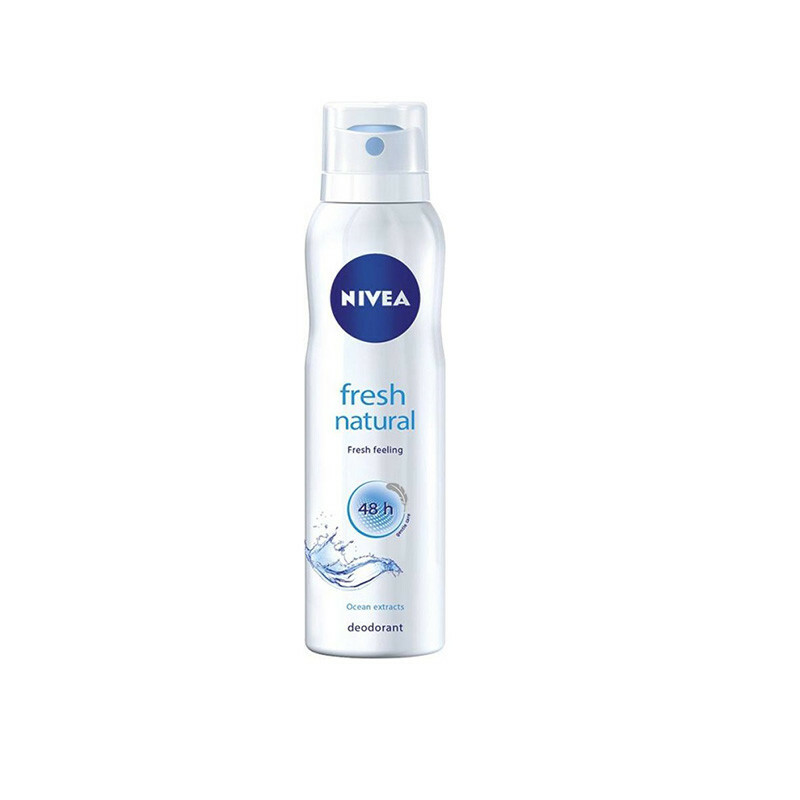 Nivea Fresh Natural Deodorant provides confidence of 48h effective deodorant protection with a fresh feeling. Equipped with a fresh and energising scent of the ocean, Nivea Fresh Natural deodorant is a very fresh and revitalizing deodorant spray that you will fall in love with instantly. The mild and soothing fragrance of the deodorant will last you all day and you will never feel the problem of body dour arise again. Nivea Fresh Natural deodorant is a superb deodorant that is gentle on your skin and does not itch or irritate sensitive and delicate skin. Nivea Fresh Natural deodorant also controls perspiration giving you a dry and fresh feeling all day long.